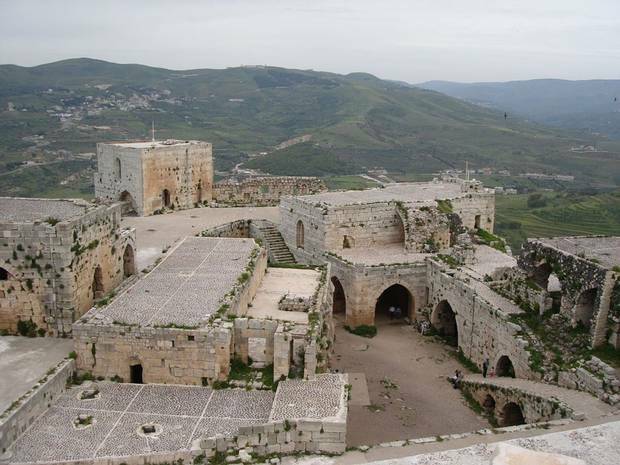 "Krak des Chevaliers castle has been shelled by the Syrian army." Image Source: AFP via Archaeology News Network. The Archaeology News Network reports that important archaeological sites have been destroyed in fighting between rebels and government forces in Syria (see also: The Independent). The Homs museum, and other government museums, have been looted. Reports from Syrian archeologists and from Western specialists in bronze age and Roman cities tell of an Assyrian temple destroyed at Tell Sheikh Hamad, massive destruction to the wall and towers of the citadel of al-Madiq castle – one of the most forward Crusader fortresses in the Levant which originally fell to Bohemond of Antioch in 1106 – and looting of the magnificent Roman mosaics of Apamea, where thieves have used bulldozers to rip up Roman floors and transport them from the site. Incredibly, they have managed to take two giant capitols from atop the colonnade of the "decumanus", the main east-west Roman road in the city. There is, of course, a moral question about our concern for the destruction of the treasures of history. Common humanity suggests that the death of a single Syrian child amid the 19,000 fatalities of Syria's tragedy must surely carry more weight than the plundering and erasure of three thousand years of civilisation. True. But the pulverisation and theft of whole cities of history deprives future generations – in their millions – of their birthright and of the seeds of their own lives. Syria has always been known as "the Land of Civilisations" – Damascus and Aleppo are among the world's oldest inhabited cities and Syria is the birthplace of agrarian society – and the terrible conflict now overwhelming the country will deprive us and our descendants of this narrative for ever. A gold statue of an 8th century BCE Aramaic god was stolen on 14 July 2011 from a museum in Damascus. 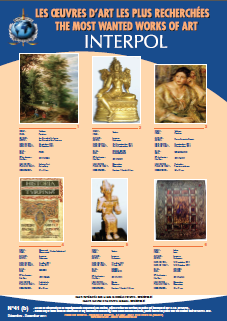 It was listed on Interpol's December 2011 Most Wanted Works of Art list, but has not been recovered. The Syrian statue is bottom centre. Image Source: SAFE.